(August 2005) Added a Malaysian "Help (Get Me Some Help)" EP from 1971, and updated the entry for the Malaysian "Bringing On Back The Good Times" single (CBS 2-577) from 1969. (March 2005) MAURICE BACON update! 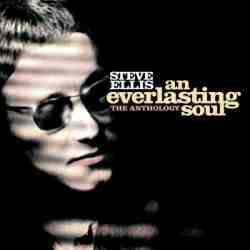 STEVE ELLIS - "An Everlasting Soul" - new CD out now! (February 2005) "Everlasting Love" cover versions! 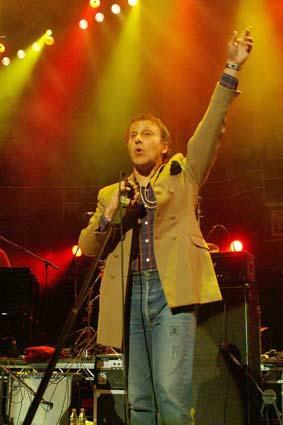 (October 2004) TIM STAFFELL update! A rare photo of Jonathan Kelly's Outside, the band featuring Tim Staffell and Snowy White among others, is added to the Tim Staffell biography. Be sure to check out the new official Tim Staffell website, www.staffell.com, for all the latest news and rumours! Jonathan Kelly has also got his own website, www.jonathankelly.co.uk. (September 2004) SCIENCE OF SOUND - "OnceAndFuture" - new CD out now! (May 2004) STEVE ELLIS - "A Sort Of Innocence" - new CD out now! (March 2004) Maurice Bacon is promoting Joust this year as well, probably the biggest Mediaeval Festival in the UK: The festival is held on two weekends, 24 - 25 July & 31 July - 01 August 2004. (February 2004) "Everlasting Love" - new dance mix available soon? Following last months "Everlasting Love: the Remix", Mike Hurst and Lynton Guest have now also prepared a dance mix of "Everlasting Love". The first remix they did was very good - I am not sure if the single has made it to the shops yet, but it is definitely worth picking up! Lets hope the new dance mix is just as good! Watch this space! (January 2004) STEVE ELLIS news! 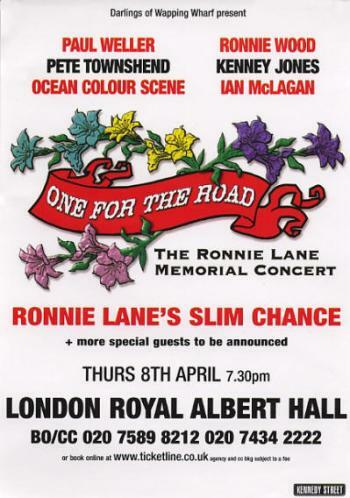 Steve will be performing at the Ronnie Lane Memorial Concert in London Royal Albert Hall on 08 April 2004. Other confirmed artists are Paul Weller, Steve Cradock with Ocean Colour Scene, Pete Townsend, Dennis Greaves, Ronnie Wood, Chris Farlowe, P.P. Arnold, Mick Jones, Glen Matlock, Kenney Jones' Band including Rick Wills & Paul Young, Debbie Bonham, Stereophonics, Keith Smart, Charlie Hart, and more! Steve's long-delayed new solo CD, "A Sort of Innocence", will be released on Purple Haze's new label, Red Rock (catalogue REDR001) later this month. it looks as if 2004 will be a good year for us Steve Ellis fans, because Sanctuary are releasing "A Complete Retrospective of Steve Ellis" this year, compiling material from Love Affair, Steve Ellis solo, Ellis Band, Widowmaker, and some rarities. Last, but not least, Sony have discovered a Steve Ellis solo album, from circa 1970, in their vaults. Be sure to visit Steve's website for more information about these upcoming releases!